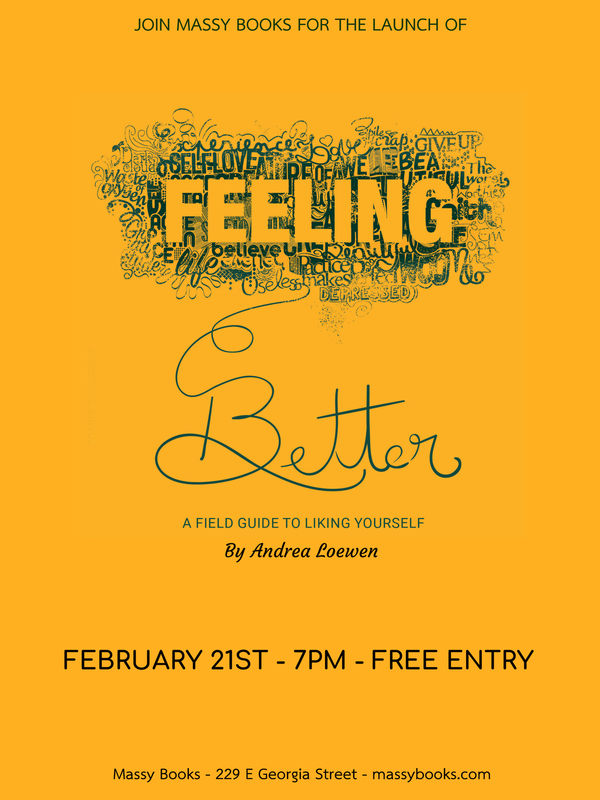 We're having a launch party for my book Feeling Better: A Field Guide to Liking Yourself! The party will be held at Massy Books in Chinatown, there will be a reading, Q&A, refreshments, and general fun! Come hang! I would love to meet you!